An ice mile is not something I would typically consider. 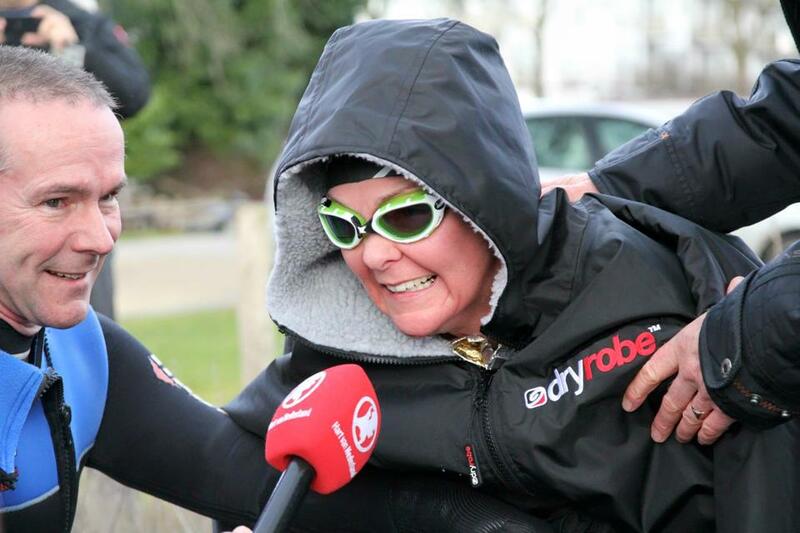 However, my left shoulder was still giving me trouble after my 2013 English Channel swim. I couldn’t train for more than an hour without pain. Continuing with my cold water swimming throughout the winter, Marcel van der Togt a Dutch Coach and friend suggested to me I might like to give an ice mile a try. He and Marcel Stroet were organising the first ever Nederlands Ijswemmen Kampioenschap. I said sure, why not!! The rules for an ice mile are the same as any of the Channel swims. Swim costume, cap and googles (nose clip and ear plugs are optional). The two big differences are of course the distance is only a mile, however, the water must be under 5 degrees Celsius! I continued to train throughout the winter in the Huizen Haven and de Eem, a harbour and a canal close to my house in Blaricum, Holland. I seemed to be acclimatising to the cold quite well as the temperatures plummeted into December and January. I did get a lot of very strange looks from dog walkers and guests staying at the hotel overlooking the harbour! The day of the ice mile came around. When I turned up to the pool there was snow on the ground and ice blocks in the swimming pool – put in there for show!! 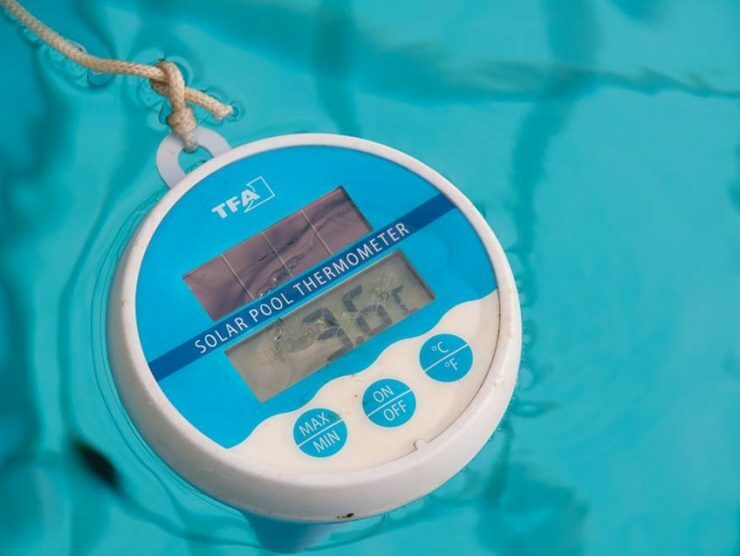 The water temperature was 3.6 degrees Celsius. Marco de Jonge a fellow swim friend was starting the swim with me at the same time and stopping at one kilometre. An amazing goal and achievement. He and I were left in the warming up tent to get ready. We were both quite nervous as there was a lot of media present as it was the first Ice Swimming Championships to be held in the Netherlands. I always wear my New Zealand swim cap and I had one as a gift for Marco. He was so grateful and said he would wear it today. 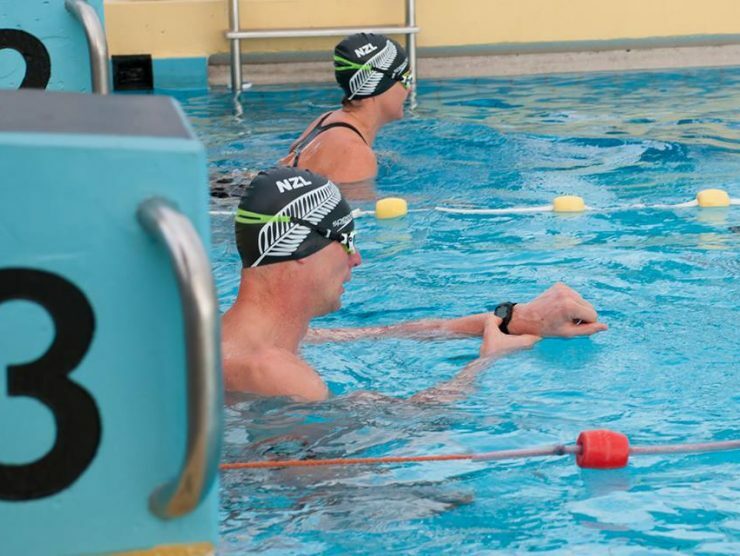 I said “No, you can’t wear it…the media is here and we can’t both go out in New Zealand swim caps”. “Of course I can” was his direct Dutch reply! We also had exactly the same coloured Zoggs goggles and he had a black Speedo on to complement my black and white New Zealand swim costume! We honestly looked like tall and short twins!!! This exchange calmed us both down though and we laughed. 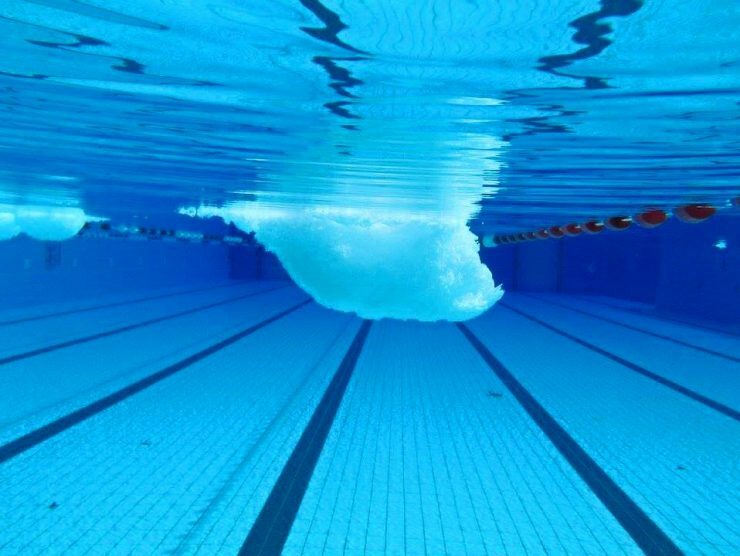 When swimming, there are two things I never want to know. How long and how far! Both facts are irrelevant. You will be there when you get there! Even though this swim was only a mile, I applied the same rules. I said to Marcel van der Togt and Andy my husband – I do not want to know how far I have to go until there are only four laps of the swimming pool left. They agreed. I also said – do not pull me out!!! Marco and I walked out to over a hundred spectators and TV and newspaper media people. I had been contacted by a TV reporter a few days earlier and they had asked me if I could be interviewed. I said sure – 30 minutes before or 30 minutes after! Marco and I got into the swimming pool. We started our various challenges after a few seconds. When you are swimming in such a cold (or should I say, not so warm…the cold word is usually banned from my vocabulary or earshot) temperature, the first thing to happen is an ice cream brain freeze. At the same time your heart races with the shock. You must get this under control immediately and get your breathing under control. After one 50m length of the pool I felt good. The next thing to happen is you lose sensation in your extremities – your feet and hands. Your hands start to claw and there is nothing you can do about this. I had made arrangements to keep eye contact with Marcel and Andy who were walking alongside the pool in warm sweaters and winter coats!! There were also two paramedics’ poolside in winter diving dry suits ready to jump in if necessary. After some time, I saw Marco get out of the pool so I knew that his one kilometre was over – a massive achievement! I was also aware enough to know that this meant I had 12 laps left to go!!! Nearly there!! I’m all about finding ways to dig deep when necessary. I started to get cramp feelings deep inside my core. To me it felt like my organs were hurting! My dear friend Cathy had passed away earlier in the month so I had her name written in marker pen up my left arm, my problem shoulder side, to give me and my shoulder strength. I started saying her name in beat with my stroke over and over, then I added other people’s names who are dear to me – two syllable names work best…sorry!! As I ran through every two syllable name, I started to hurt more from within! Keeping up my chant did two things for me. It took my mind off the pain and it kept my mind aware! More time went by and I was close to the end of the pool…at the wrong end. I thought, that’s it, I’m getting out, this is crazy – but then I thought about having to walk barefoot on the cold concrete in the 0 degrees outdoor temperature! So I decided to swim back and then I would get out. As the ladder got closer and closer at the ‘right’ end, I felt so happy. I had made a good effort, enough is enough! About 5 metres from the end, Marcel van der Togt held up four fingers as I had asked him to!! Bugger! That meant that I had to keep going. I couldn’t give up with only four lengths to go, 200 metres! With that I turned and went on for the last two hundred metres. I had slowed right down. When I got to the last lap I was aware of cheering. 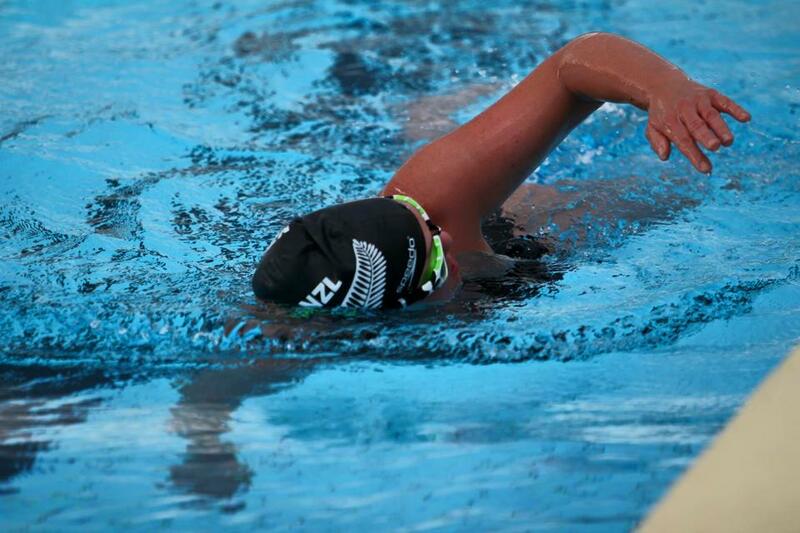 My body was having difficulty coordinating so I had to swim breaststroke for the last 40 metres. I touched the end!! I had done it! I had swum an ice mile and I had become the first person in the Netherlands to do so. This swim took me 37 minutes 33 seconds. If I’m swimming a mile in 16 degrees water, I can swim it in about 27 minutes! 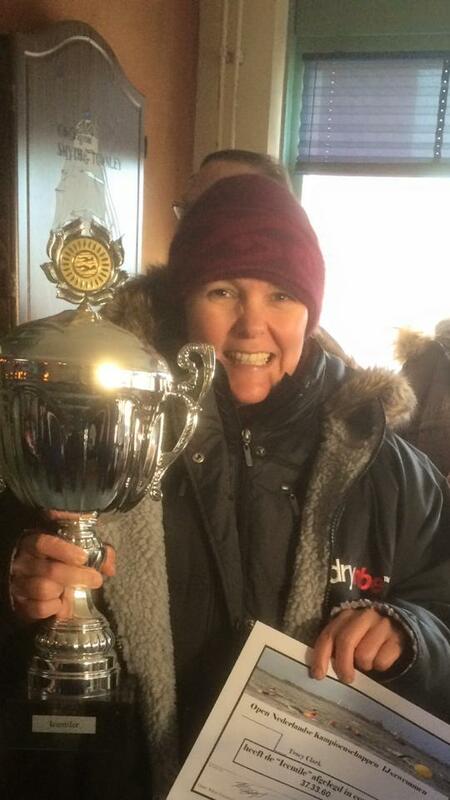 My Ice Mile was not the speediest of times but who cares about time! One of the paramedics jumped in the pool and helped me out. Marcel reached down and helped me too. Next thing a microphone was in front of my face! 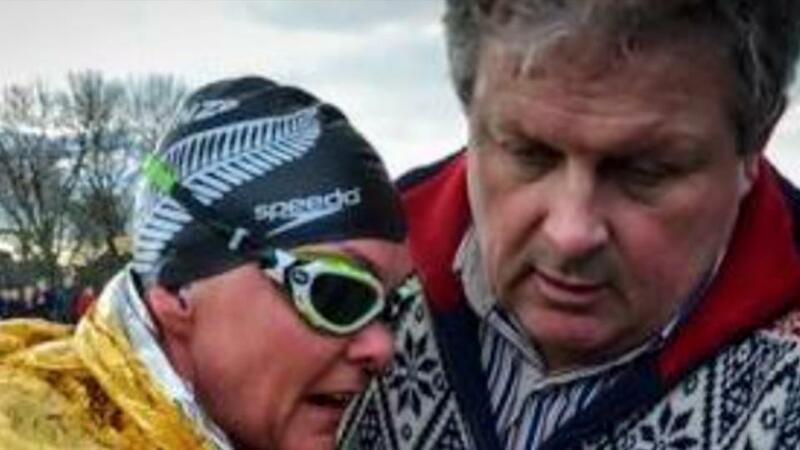 “Mevrouw Clark, How was the swim”. Let me explain – when you have been face down in such cold water for over 37 minutes your face is frozen and your brain is not working properly! My response was “reeeeeaaaaalllllyyyy crrraaaaazzzzzyyyy”! 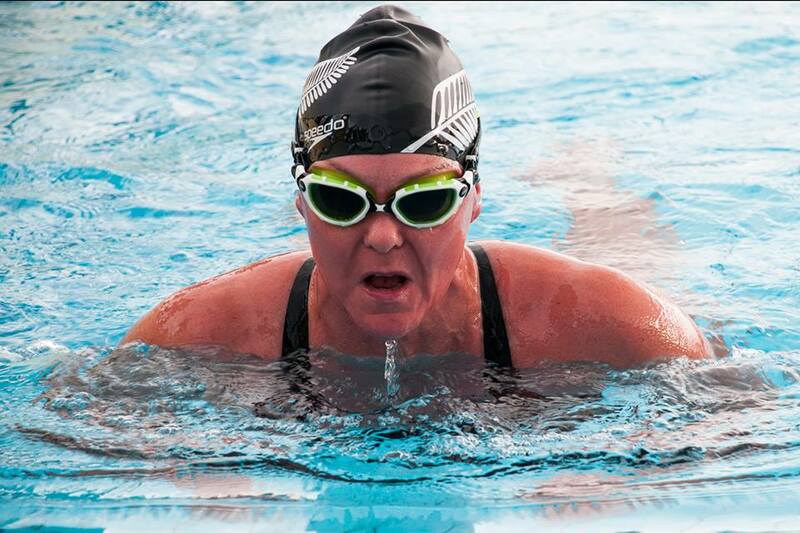 “Mevrouw Clark, Will you do this swim again” – “noooooooooooooooooo”!! This interview was on the national news later that evening. Both my boys saw this and said “mum, please don’t put that on Facebook, and if you do, don’t tag us”!!! Someone had retrieved a wheelchair by this time and I was wheeled into the warming tent. Being outside for that bit extra wasn’t so good. The next few minutes were a blur! I remember a friend of Marco’s feeding me warm Rooibos tea…it was the best thing I had ever tasted, and then it came up again! My son Connor who was 12 at the time stood guard over me. When I was a bit more aware he said to me “mum, 4 men had to help get you dressed”! I said “that was nice, were they good looking”!! In this sport we just help each other where necessary. There’s no room for modesty or egos at all!! As you warm up, the pain in your hands and feet as the blood returns to them is like someone bashing them with a sledgehammer! I still continue to train outside in the North Sea (in Norwich now where I live) right throughout the winter in a swim costume. This will be my fourth winter! Within 30 minutes, I was back to myself again – with a big warm coat on and my Dryrobe, hat and gloves!!! I received a beautiful big cup and loads of congratulations. My mind wandered to my dear friend Cathy after the presentation, as I said she had just passed away losing a very brave and unfair battle against cancer. I did it Cathy. Why did I do it, because I could! Pool temperature 3.6 degrees Celsius. The last 40m breaststroke..losing co-ordination. Interview with the national news. Thank goodness that’s over with! 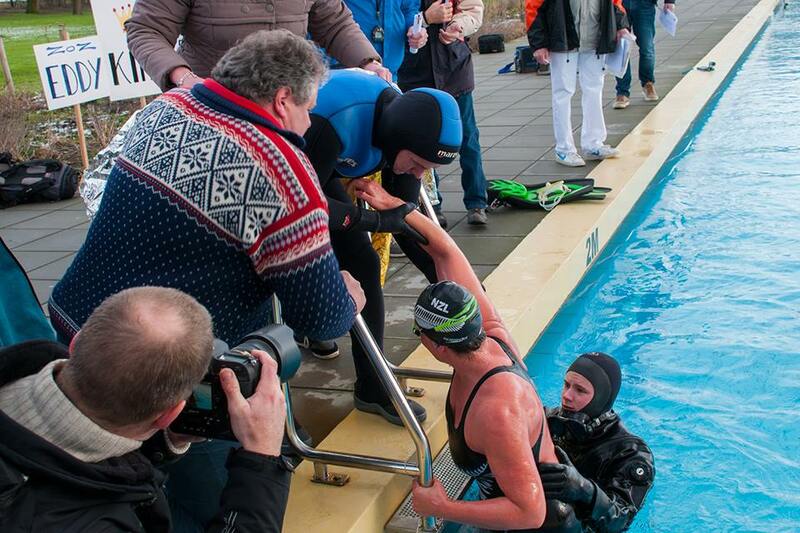 First person to swim an Ice Mile in the Netherlands! 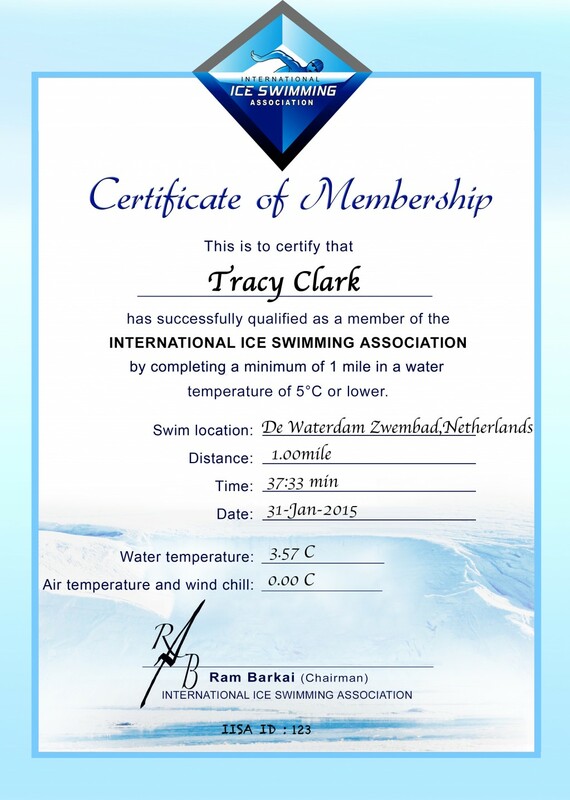 International Ice Swimming Association Ice Mile certificate.